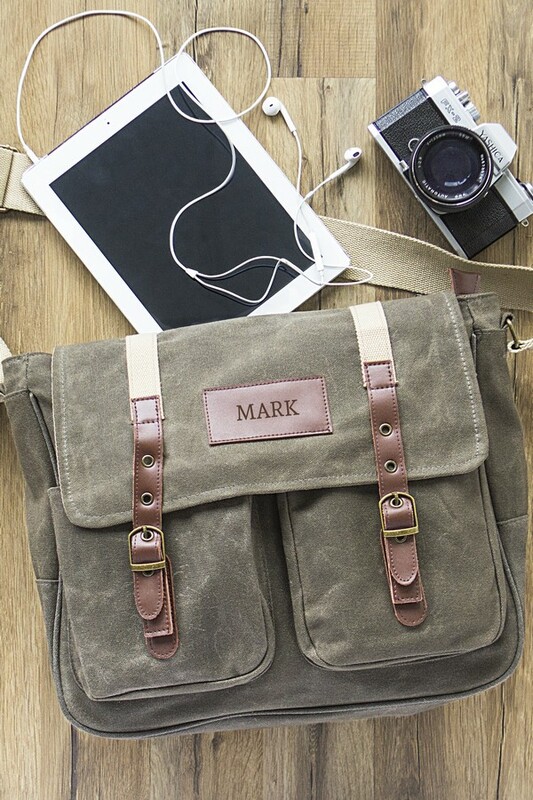 This wet waxed canvas messenger bag, personalized with a custom engraved name is the ideal travel bag for the on the go college student. 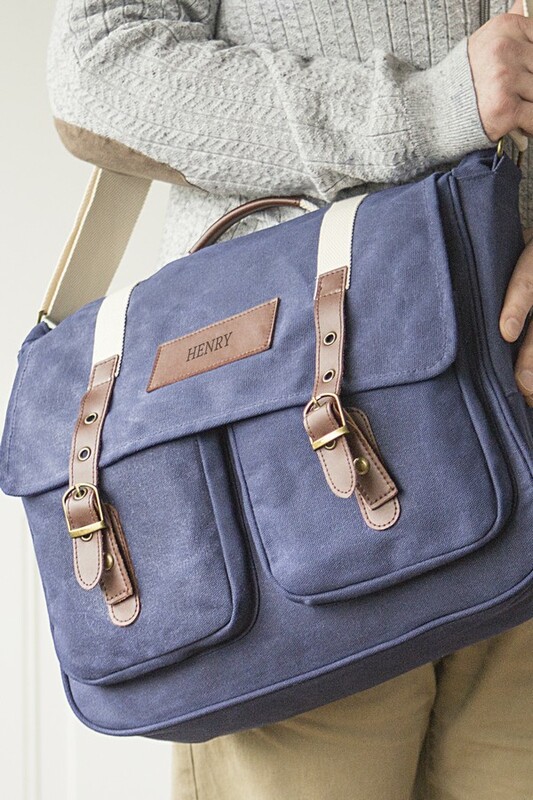 With the bags wide and sturdy double stitched carrying strap this bag will not only be functional but comfortable to carry as well. 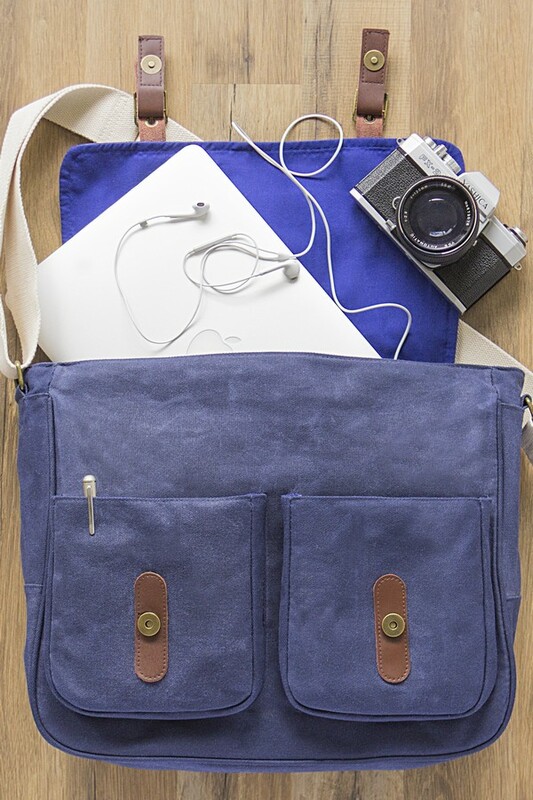 With the wide design of this bag, you will be able to carry your laptop, text books and notebooks easily to all of your classes. 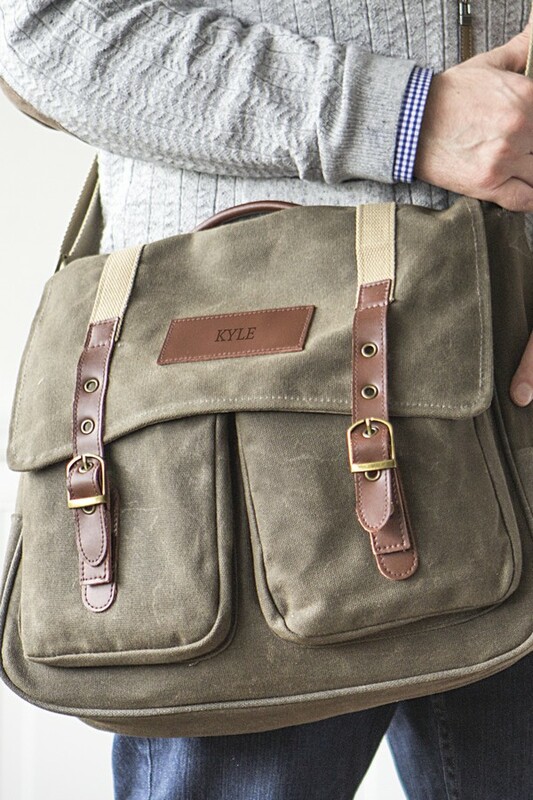 On the front flap of the bag is a leather square that your custom name will be engraved and centered on. Features two large external front pockets, a back external zippered pocket, an internal zippered pocket and an internal opened pocket. Available in your choice of green or navy color. Personalized with a custom engraved name, maximum of 8 characters.